Founded in Liège in 1920, Somef has become a reference in inland waterways logistics for industrial clients. 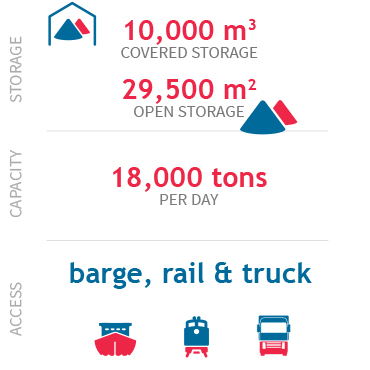 Combining handling and storage operations with inland and maritime transportation services, Somef carries out its activities on many sites such as Liège-Monsin, Val Saint-Lambert in Seraing or Tihange. Somef serves a broad client base in the steelindustry, construction, agricultural and power generation business.